In the fall of 2012, Cherry Pie Music introduced the Songook Series, which currently comprises three digital EPs of original songs by Ellen Vanderslice, each sung by a different artist. Rebecca Kilgore, Amandah Jantzen, and Marilyn Keller are each featured on one of the EPs. 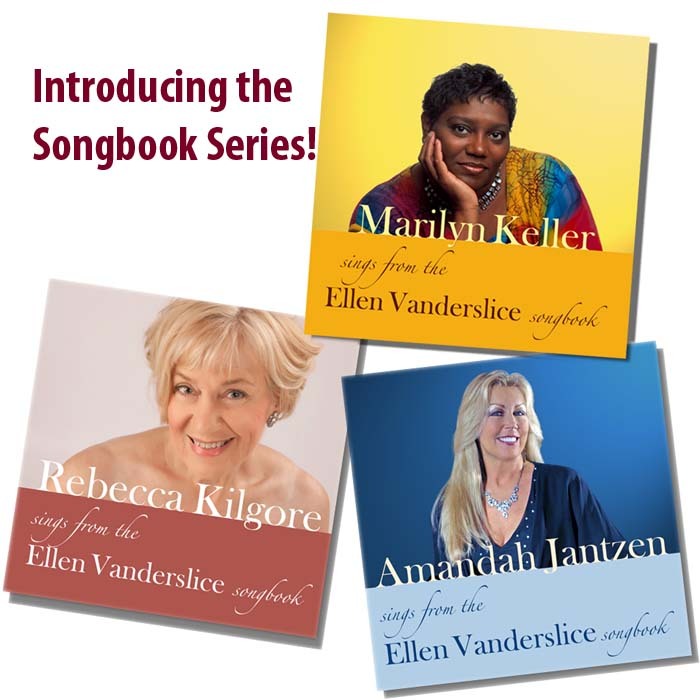 Cherry Pie Music is delighted to announce the release of the third EP in the Ellen Vanderslice Songbook series. Click here for more information about each of the three CDs.